1. Make the door work again! I assume you have already imported the package. 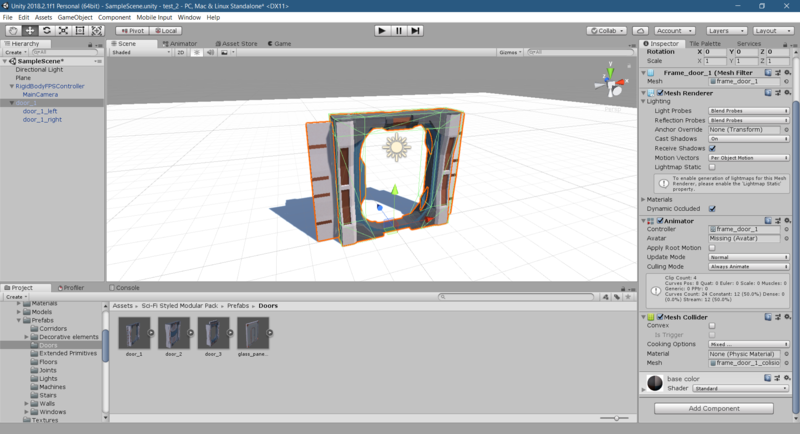 First, we need to add a door to the scene. On Inspector Window add a new C# script. Open it with your code editor and paste this code. 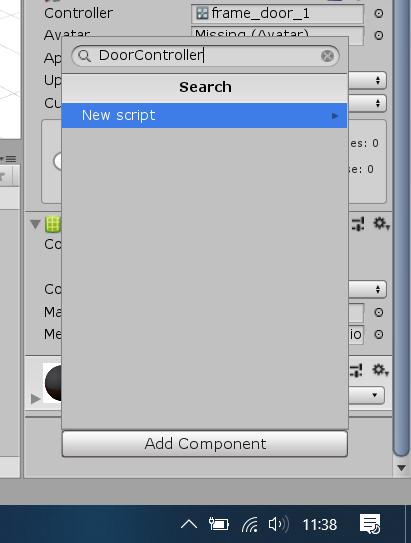 Save it and after Unity compile, place your character object to character property in new created C# script. And that's it! Door now open when your character is nearby! 2. Why this script is not included in package? It's an easy script and the door shouldn't always open when you approach it. Games have buttons that open something, puzzles etc. I don't want to limit or interfere with those implementations.